This is post 3 of AdMob's 5-part blog series featuring monetization tips straight from successful app developers. If you’re interested in further exploring the question, “what’s the best way to monetize my app?”, check out AdMob's free No-nonsense Guide to App Monetization. 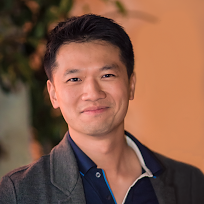 AdMob's guest this week is Anthony Lai, founder of TapBlaze, a popular game app company based in Los Angeles, California. TapBlaze has developed over 15 titles, collectively garnering millions of downloads. Anthony’s been able to grow the company from a one-person show, to a team of 7 full-time developers, designers, and artists. Check out these tips from Anthony. 1. Design your app for retention. When Anthony first started TapBlaze, he initially focused on building simple, virtual simulation games. An example was his app “Good Pizza, Great Pizza”, which allowed users to virtually make and sell pizza. These early apps were interesting concepts and received a lot of attention but had a difficult time retaining customers. After the novel experience wore off, users had little reason to come back. For his next game, Anthony wanted to build something that would keep users engaged for months, not days. To do this, he infused 4 elements into his new match 3 puzzle game named Gummy Gush: 1) a compelling story, 2) fun challenges, 3) rewards, and 4) multiple levels that built on each other. This took a lot more time to develop, and his key metric (retention) took a little longer to measure than downloads, but the work payed off. Consider designing your app for retention. Retention is a key metric for successful monetization and nailing retention will lead to a much more long term, sustainable business. To learn more about practically how to retain users, check out this video from Google Developers called “The Zen of Monetization: The Art of Retaining Users”. 2. Understand the amount of polish your app needs to succeed. Early last year, Anthony’s team was focused on launching Gummy Gush as quickly as possible. Anthony’s a firm believer in swiftly getting product in the hands of users to collect real user feedback, then iterate. His aggressive timeline meant making sacrifices with the polish of the app, but because he had a few artists on the team he was confident that v1 would be “good enough”. After launch, there was no user feedback on the polish of the game. But, a new engineering hire with a lot of game development experience urged them to invest in perfecting the look and feel of the game – standardizing UI elements, smoothing out all animation, and adding the finishing touches to the art work. At first, Anthony was skeptical. But, they decided to devote 2 weeks to the initiative and see how it affected their key metrics. The overhaul paid off big time. Within the first week of the update, Gummy Gush saw a 25% in average revenue per user (ARPU). Depending on the type of app you're building, fierce competition may have raised the bar for the amount of polish that users expect. For Anthony’s niche, a beautifully designed app built trust and increased revenue. If you’re in a highly competitive sector, it's important to assess what the industry’s threshold for aesthetic finish looks like and decide whether an investment in design app is worth making. Check out Google Play’s “Top Charts” to see what the benchmark is for your category. 3. Use analytics to prioritize your team’s next steps. What made it tougher was the time already spent on some of the features being criticized. For example, Anthony had invested in building an engaging introduction story that played the first time users opened the app. He even worked with a professional story writer to impart light-hearted humor in the story. His instincts knew that the story made this new app more compelling than his older apps, but did he go too far? His solution: test solutions with his users. The team built the smallest version of solutions to proposed problems, taking no more than 2 weeks to release. They’d then monitor key metrics to see if the change had a positive affect. For the introduction story, the team quickly built a “skip” button. After releasing it, nearly 60% of users used it, confirming that it was a real problem worth solving more deeply. For your app, use in-app analytics to test the individual pieces of feedback you get from users and internal hunches your team comes up with. Overdevelopment is more costly only to find out that your assumptions are wrong is much more costly that actual testing and observation. To learn more about observational testing, check out Tomer Sharon’s talk at Google I/O called “Don't Listen to Users, Sample Their Experience!”. If you found these tips helpful, don’t forget to check out The No-nonsense Guide to App Monetization. Also, stay connected on all things AdMob by following their Twitter and Google+ pages and be sure to connect with TapBlaze on Twitter here.